http://listenrock.com/forum www.listenrock.com/forum The Best Rock Forum from the internet ! This is a new place for rock music lovers from all over the world.On our radio ,you can find and enjoy your favourite rock bands and songs.Also,this is the place to read fresh news and articles about new or veteran rock bands,about their concerts,interviews and many more.In our forum section ,you are welcome to share your comments and opinions about almost everything.For now you can listen on our radio the following genres of rock music:Alternative rock,Hard rock ,Heavy metal,Pop rock,Electro rock,Punk Rock and Rock and roll. The playlist will be updated soon with more qality rock.So,enjoy our radio and have fun interacting with our community members in the forum section. Blues Magazine: Issue 2 on sale now! Brought to you by the great team behind Classic Rock, Blues Magazine is a mix of old and new; cult and mainstream – and celebrates 75 years of great blues music. The second issue features elder statesman of the blues, B.B. King, talking about his early days and incredible career. Lars Ulrich says Metallica try to avoid acting like big shots backstage – although they may be guilty of having done so in the past. The drummer insists he likes to avoid giving advice to younger bands, and reveals he still has his own star-struck moments when he meets heroes like Dave Grohl and Neil Young. Ulrich tells The Owl: "We always try to go and hang out. "We definitely had the days of hiding behind the big walls, and we may have been guilty doing some of that stuff in the 90s, but we really try to put ourselves out there. "It’s more fun for us. It’s great to meet other people and immerse yourself in some of that energy. Meanwhile, Mission to Lars film maker Kate Spicer has admitted she hoped Ulrich might turn out to be an "a’hole” because it could have made her movie more interesting. The drummer has shown active support for the documentary which tells the story of Spicer’s learning-disabled brother Tom and his attempt to deal with his demons in order to finally meet his hero. Reporting on a showing of the movie in Mexico City, which Ulrich attended, she says: "I thanked Lars for showing Tom the respect that so often learning-disabled people are not afforded. "People asked him why he had done the film, and part of his answer was that perhaps because he’s a parent he is much more compassionate. I found it strangely touching, though it was not an unusual thing to say. He had three wristbands on – they were from a trampoline place he takes his kids. Van Halen seemingly are stuck in a ditch with their recent tour derailment, but Chickenfoot is strutting and kicking. Former Van Halen members Sammy Hagar and Michael Anthony couldn’t have looked happier – or healthier – than they did during Chickenfoot’s headlining, unbelievably great set on May 27th at the Rocklahoma music festival, near Pryor, Okla. Hagar’s voice was exceptional, while Anthony provided the best back-up singing in all of rock-and-roll land and put down rich, impressive bass lines. Anyone who previously predicted that Chickenfoot would tumble without original drummer Chad Smith found the opposite true via the presence of skin-hitter Kenny Aronoff (John Cougar, Smashing Pumpkins). With Smith back with the Red Hot Chili Peppers, Aronoff backed Chickenfoot with the same intense firepower of a young Keith Moon while retaining the otherworldly precision of drum masters Bill Bruford and Neil Peart. The grinning Aronoff just didn’t hit his drum heads and cymbals; he playfully grimaced, striking his set ferociously as if Rocklahoma were his last-ever gig. Chickenfoot’s on-stage chemistry was as terrific as their chops. I can’t remember ever seeing a concert where every single member laughed, joked with each other and tried to make each other giggle during instrumental passages. The quartet’s inner-group warmth was contagious. Other acts at Rocklahoma also making big, positive noise where Slash, Megadeth, Rob Zombie, Queensryche and Christian rockers Red and P.O.D., as well as the original lineup of Creed. Slash and Alter Bridge singer Myles Kennedy fronted Slash’s band, whipping out tasteful takes of Slash’s solo material and Guns ‘N’ Roses’ "Sweet Child O’ Mine” and "Paradise City” on May 25th. Slash ignored the evening’s unforgiving heat and humidity – sweat was dripping from his wrists and elbows by the end of his second song – and played flawlessly on his Les Pauls. Queensryche also took to the stage with fire and professionalism, infusing new grit and purpose into "Jet City Woman” and "Eyes of a Stranger.” When "Silent Lucidity” arrived, the 20,000-plus crowd cheered before singing along with vocalist Geoff Tate in massive, echoey unison. One of Rocklahoma’s biggest surprises were Creed, who wisely kept their set in heavy-rock mode while following Slash’s hard-hitting session. Creed’s instrumental play was fast and punchy, with singer Scott Stapp barking and hissing many of their lyrics in an appealing voice. Creed’s effort, like Rocklahoma itself, was a winner. Rock Total Rock Radio is a non-profit Channel which diffuses 24h/24. The original intention of this Channel is to offer a different good alternative from the public radio and give a chance to the bands to make known itself. 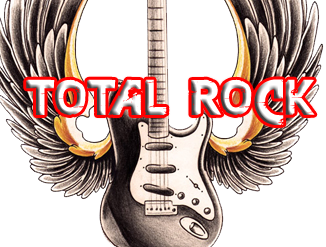 Rock Total Rock Radio advantages: Targeted style: Clasic Rock , Metal , Hard , Punk Rock, no publicity and no long and tedious interruption by the DJ, only music.